It is with so much pleasure that I share these beautiful shots with you today. The sun is streaming in through my window in my South London studio and I’m enjoying working through my retouching and edits from recent newborn, baby, pregnancy and family photography sessions. 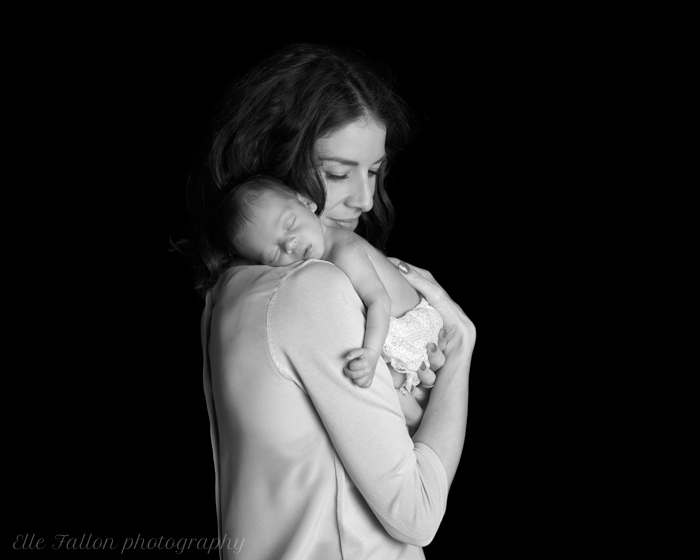 There is no greater joy than returning from my photoshoots to unveil these beautiful treasured moments. I always have an idea of what I am capturing on the day but the true excitement is when I can see the shots in full detail. 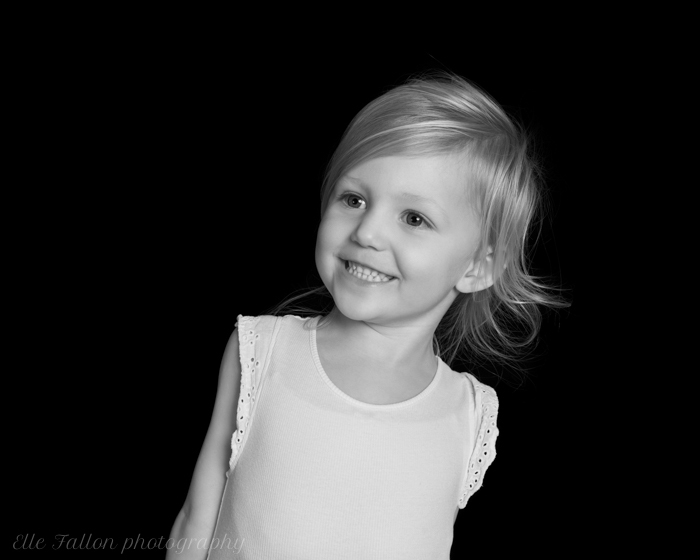 For this Client I have mixed black and white with some beautiful subtle colour shots. This in an increasingly popular choice for my Client’s. 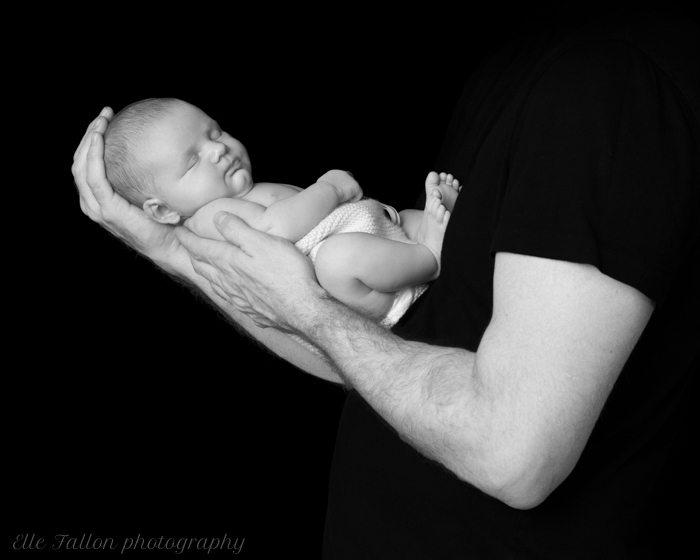 It is lovely to see how well the black and white newborn photographs work along side the colour images. All outfits and props used in these photographs are my own. I bring a range of beautiful handmade baby clothes and accessories to every photoshoot. 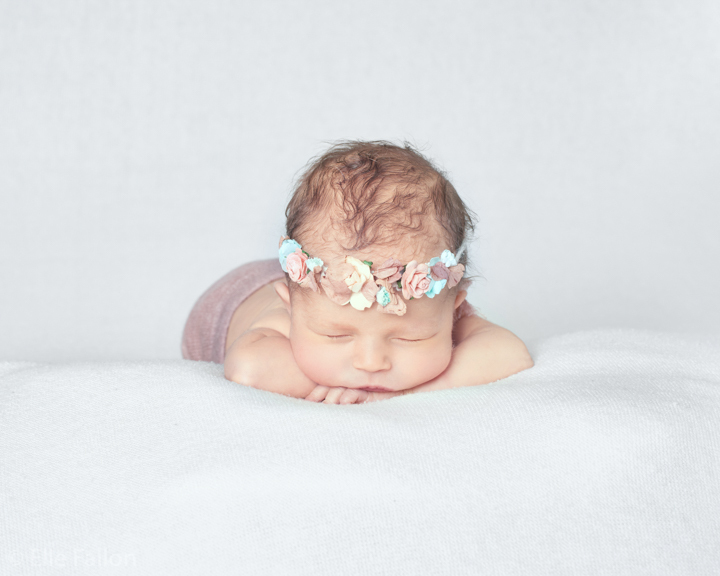 Quality is important to me so all outfits are handmade by specialist newborn photography prop makers specifically for my photoshoots. Fabrics are soft and gentle fo baby’s skin and I hand wash each used item after every photoshoot in non biological, sensitive baby detergent. 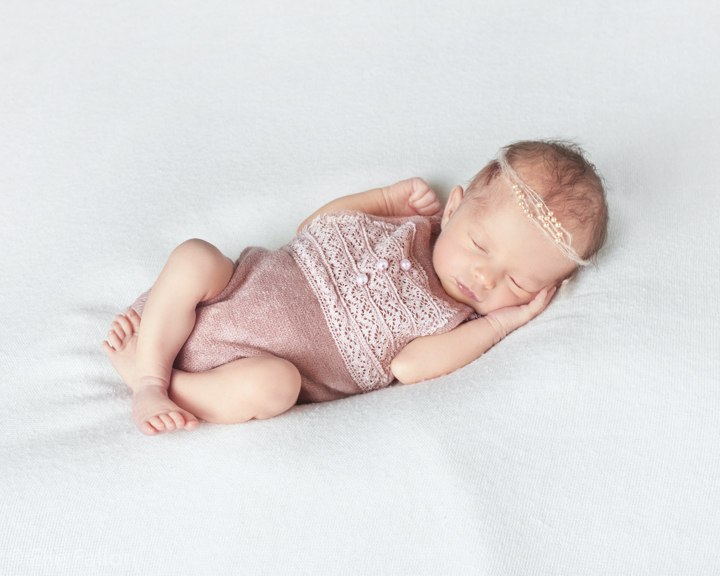 I’m in love with the little pearl and lace romper used on this beautiful newborn baby girl for her photoshoot. It works just as well in black and white as it does in colour I think. For this family I have prepared a beautiful handmade leather album and a stunning set of prints in a beautiful handcrafted wooden frame. I have a range of finishes for albums and frames which can be chosen at your private viewing following your photoshoot. These accompany digital image packages beautifully. I am always working to improve and provide the best service and products for my Client’s. Offering the best on the market and constantly researching and working with my suppliers to stay ahead of the trends and provide the best quality and value for money. 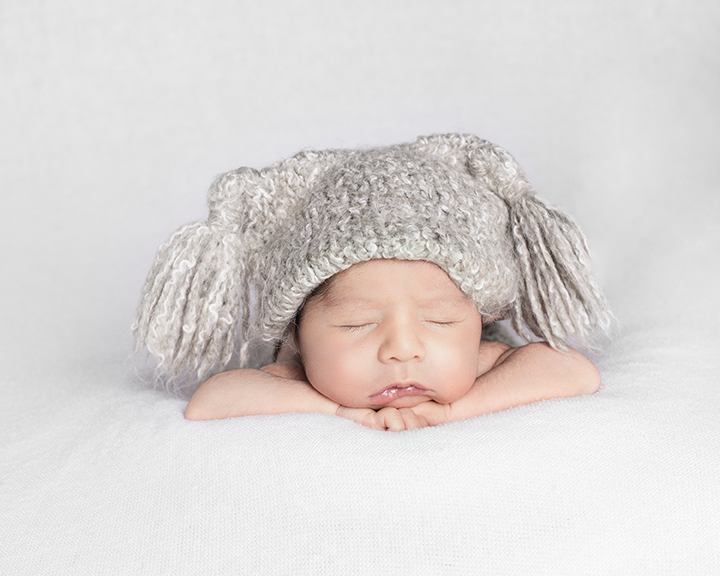 Newborn photography is a very specialised area of photography and requires experience & knowledge to work safely with newborns. 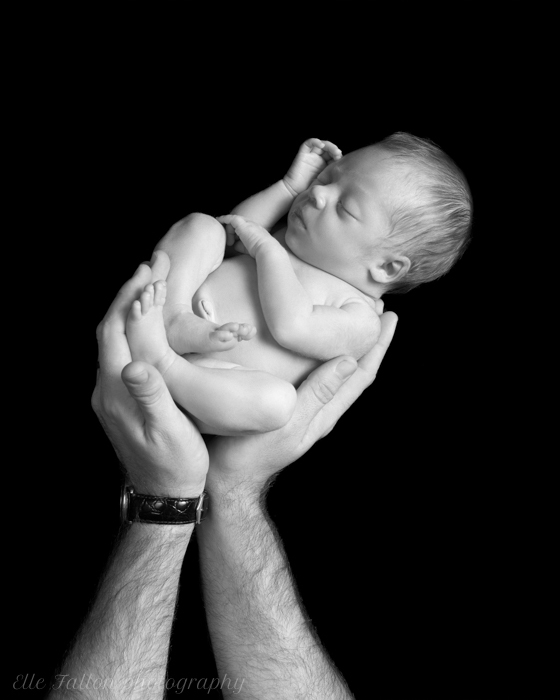 I have over 10 years experience working with newborns, baby’s, children and their families. 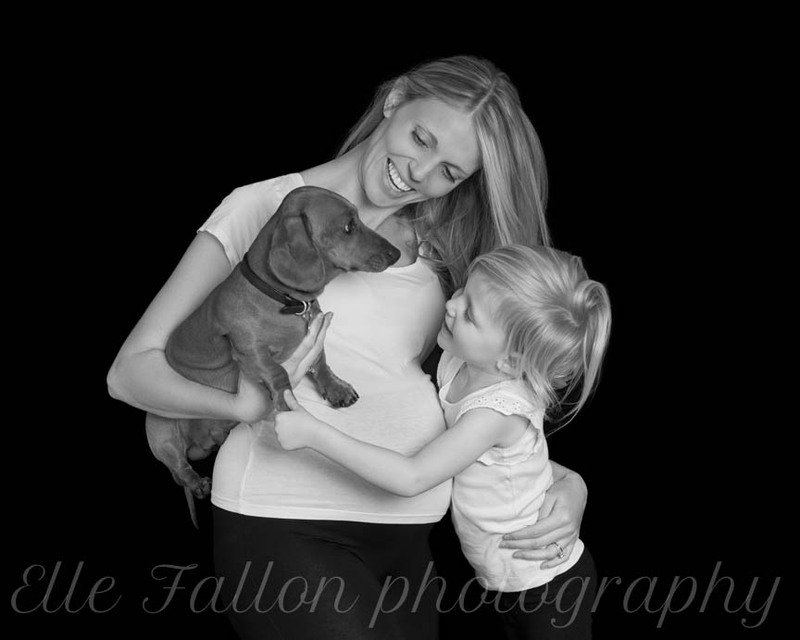 I have photographed hundreds of families over this time and build wonderful lasting relationships. 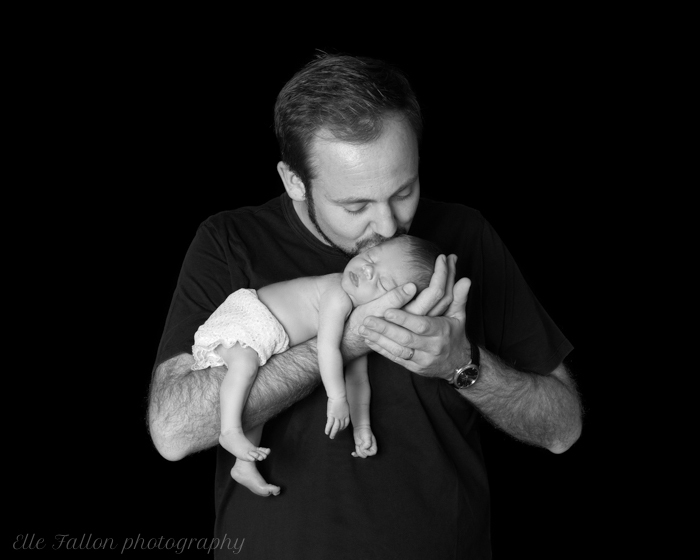 Returning to see my client’s year after to year to photograph their changing family. I just couldn’t resist sharing this little one ahead of Easter weekend! If you are stuck for Easter gift ideas for your family or indeed for baby showers and maternity leave gifts. 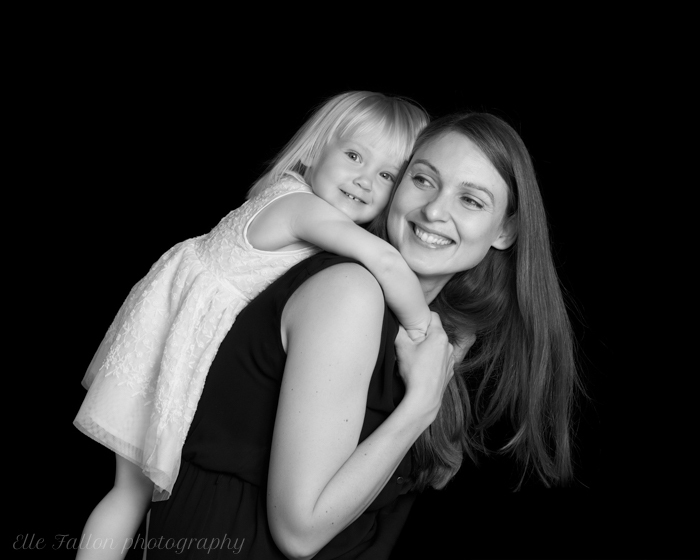 A photography gift voucher is a beautiful and thoughtful present to give. My gift vouchers are made to order. You can include your own personal message to make it unique. All gift vouchers are packaged in beautiful gift boxes with a set of miniature green & black chocolates (well it is Easter!) and beautifully printed on my signature Elle Fallon Photography paper. Prices start at £175.00 for a single week day photoshoot or £200.00 for a weekend. 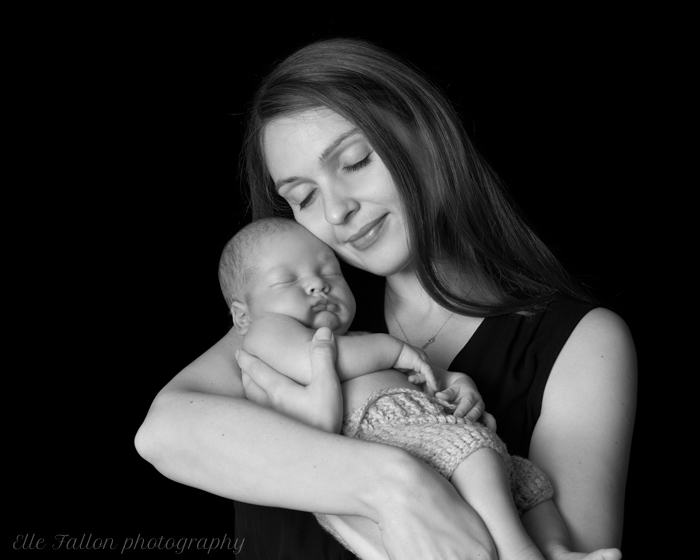 Double portrait session packages are available for pregnancy and newborn and these are £290.00 for two photoshoots (Saving £60.00). All photoshoot’s take place in the comfort of your own home. A session typically lasts anything between 2 – 4 hours depending on the age(s) of your children. Included with your session fee is one fine art archival print professionally mounted to fit a 10″x12″ frame. Additional images, prints, digital and products are available to purchase after your photoshoot. For full pricing and brochure please contact me. I offer a personalised and professional service. Working with my Client’s from selection of their images to the final production of their chosen images and products. We are slowly updating my website at the moment! It’s a labour of love! Lots of work going on behind the scenes and hopefully some new product images and videos coming soon to keep you all updated! My blog and instagram are also great for seeing some of my recent work. I am often busy at photoshoot’s during the day so the best way to contact me is by filling in my contact form on my website. It only takes a minute or two. I will then get back to you as soon as possible to confirm your photoshoot. Now although my absolute love is black & white photography I am also really happy to announce that I am now missing in a little colour with my photoshoots. It’s wonderful to be working in both colour and black & white. The mixed albums are looking stunning and I’m pleased with the colour style I’ve developed. I hope you like it too! This little darling was a dream to photograph, I have many more favourites from this session and thanks to permission from her Mum & Dad I shall be sharing some more with you soon. I’m so happy to share some of the pictures from my recent pregnancy and newborn photography session with this beautiful couple and their newborn baby. 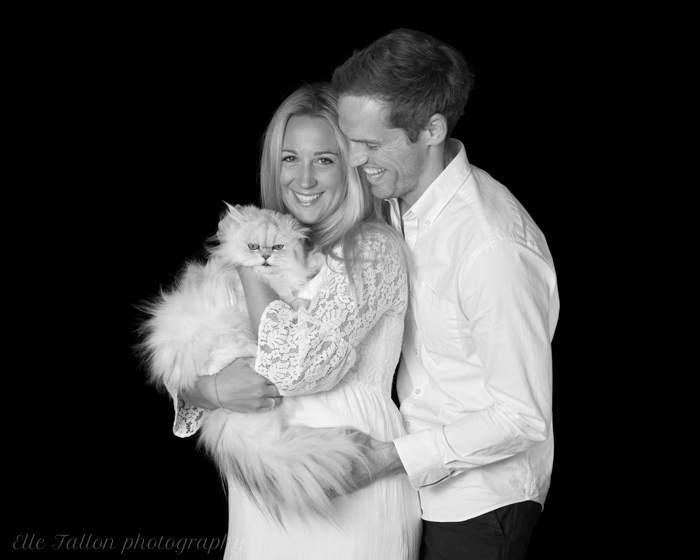 We even managed to sneak one in with their beloved cat! A request that is becoming so frequent and popular I might add a pets section to my website! But isn’t she magnificent! definitely the boss of the house! Perhaps I need to add this to the cats of instagram page (@cats_of_instagram). Capturing the before and after portraits. The bump to baby story is one of my favourite parts of my work. It’s so lovely to get to know the soon to be parents before their baby enters the world. To capture those moments before two become three. And create a lasting memory of those precious moments. It is also a great time to get to know each other. Before I return in a few weeks to meet their newborn baby. Without a doubt one of the greatest privileges is to be added to their list of ‘people to call’ to announce the news! 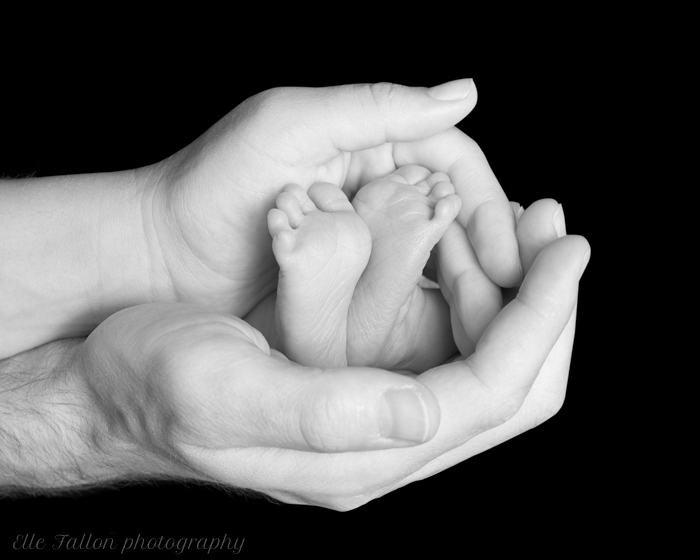 I love these beautiful shots of their newborn baby. Just so peaceful and perfect! It takes me back to the first days with my children. 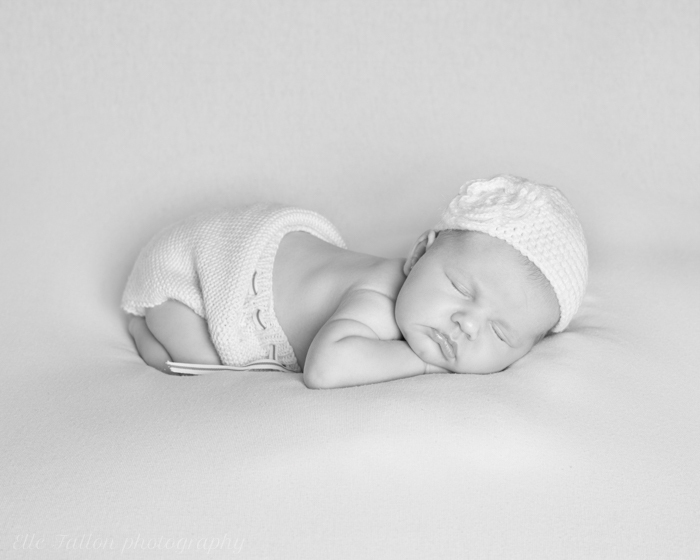 Newborn’s are so incredible and such a joy to be with. 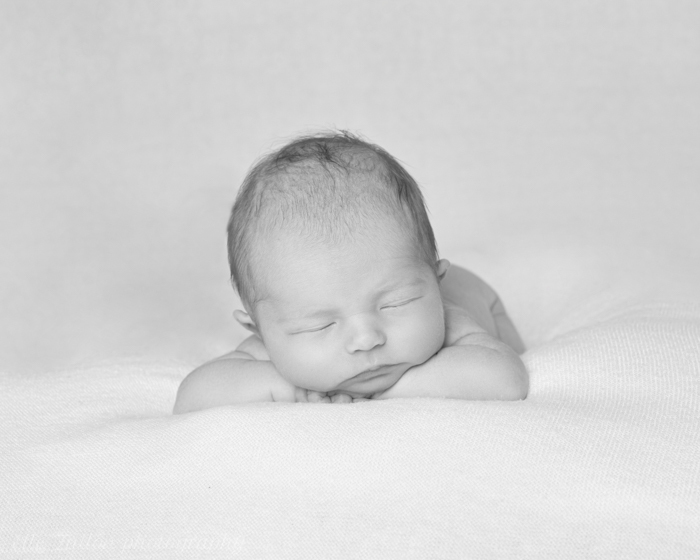 I can’t lie I love that I get to sneak a little cuddle each week whilst photographing these little wonders! As mothers day is approaching I am busy preparing lots of beautiful gifts for mothers and grandmothers. I have some stunning new handcrafted frames and my team are busy working on my new website with product pictures. Soon to be revealed hopefully! Mothers day gift vouchers are also available and selling fast, contact me via my bookings page for details. 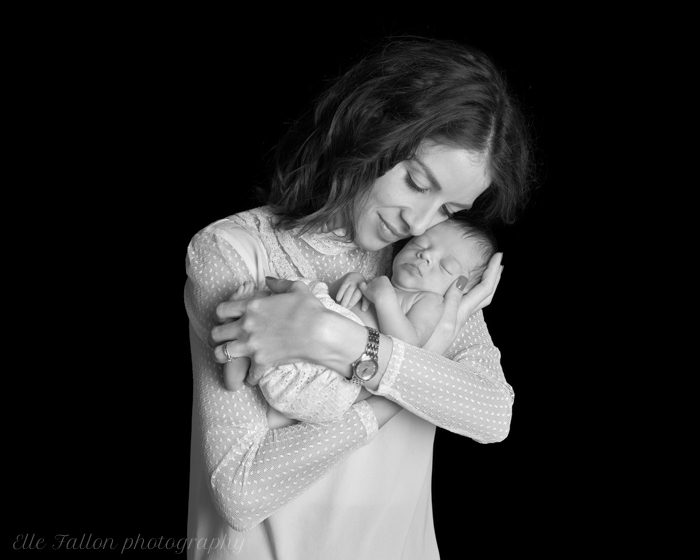 It is such a joy to share some of my pictures from a recent newborn photoshoot in Blackheath. I actually found it too hard to choose one or two for this gallery! With the kind permission of the family I am sharing a collection of my favourites! These images form part of a wonderful selection made by the family. They chose a combination of digital images and frames for their pictures. All digital images are retouched and professionally prepare for print. This is the finished result! The frames are all handmade here in London and delivered to your door. I even come back to your home after your photoshoot to help with selection and to take you through the different frame options and finishes. I bring a large sample case with me so that my Client’s can find the right finish for their home. Frame corners can be held against the wall and measurements taken to ensure the right images fit the right space. After a very quick arrival into the world, gifting her Mum & Dad with the most amazing story for life! 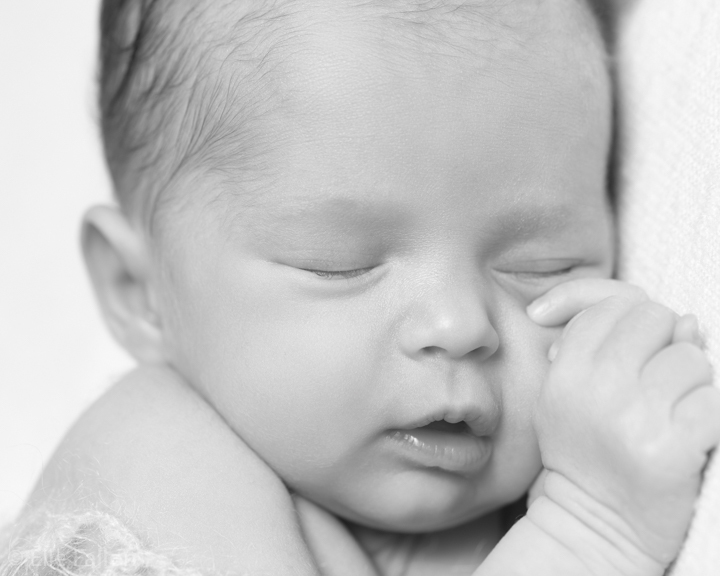 This magical baby girl was a pure delight to photograph. I also had another connection with Mum as we are both the youngest of three girls and both have almost the same name! 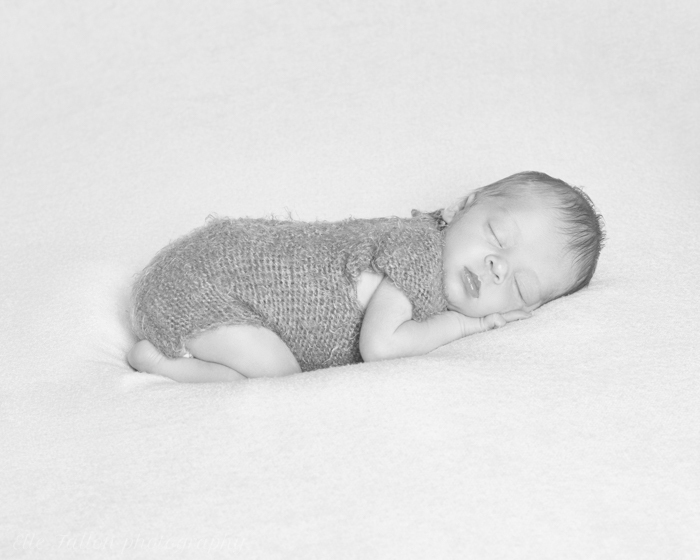 Newborn photography session’s are best booked before your baby arrives. This ensure that I can fit you in within the first three weeks following the birth. 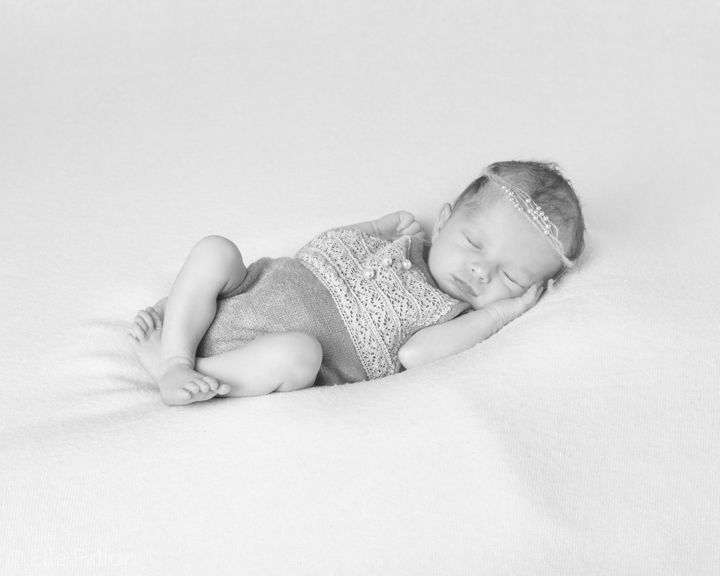 Although it is not possible to book the newborn photoshoot date I will reserve a time period to allow for late or early arrivals. 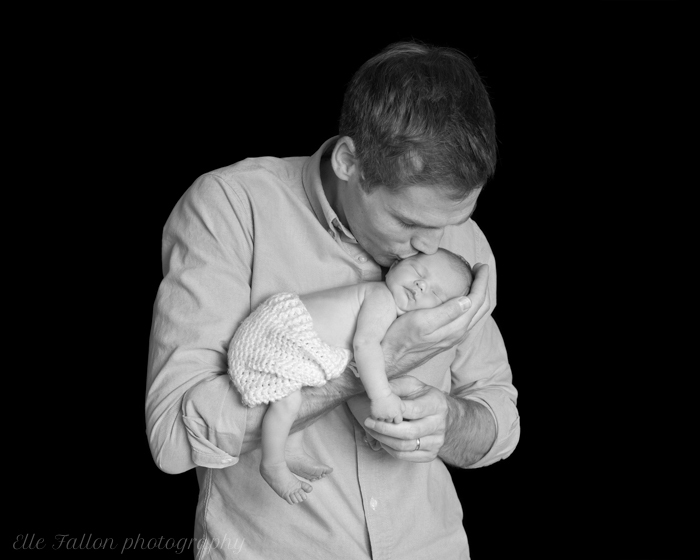 If you are having a planned delivery we can pre-arrange the photoshoot date. Occasionally I do have last minute spaces and it is still worth checking availability with me even if your baby has already arrived. What a beautiful Spring day! I know it’s only February but the sun is so warm and the sky is so blue today. It feels like Spring is well and truly on the way. Yesterday Andy and I treated ourselves to a day off on the Southbank. Like many working parents we rarely get time together without our children. We have busy schedules with photoshoot’s and it can be hard to grab some time together. We went to see the fantastic Diane Arbus exhibition at the Hayward Gallery. One of my favourites spots in London. I loved gazing at the original prints which have been lovingly put together. 1950’s and 60’s New York caught on film and frozen in time forever. I particular love her children’s street photography. Not surprisingly! The outfits, the faces! It’s a beautifully executed exhibition and well worth a visit. We even had time for a quick delicious dim sum lunch at Ping Pong and made it back in time for school pick up! Back to work today and I have a busy day ahead and a weekend fully booked with photoshoot’s. This beautiful family I have photographed a few times now. 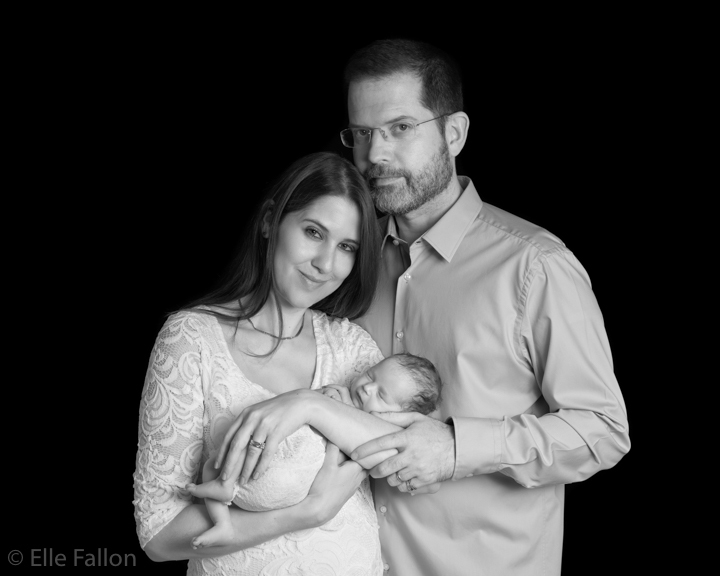 I did their pregnancy and newborn photography after the arrival of their baby girl three years ago. 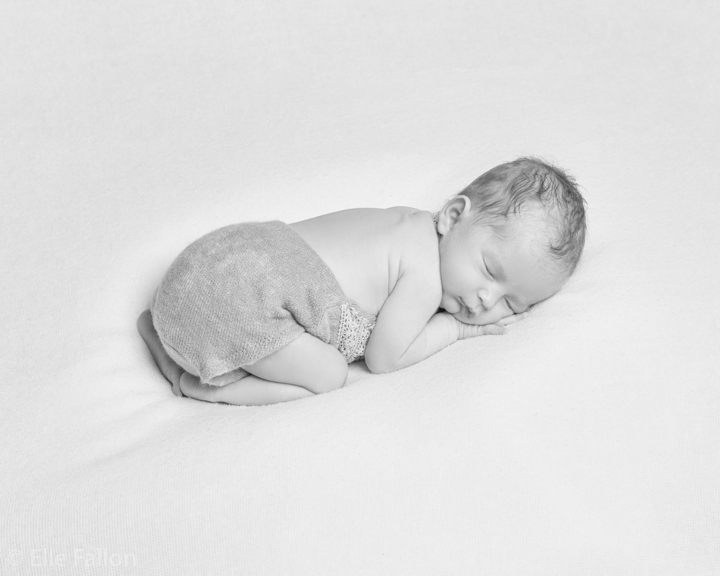 I was delighted to return again to photograph their newborn baby boy. Here are a few of my favourites from our session. Taken at their home in South West London. I’m in love with these shots! 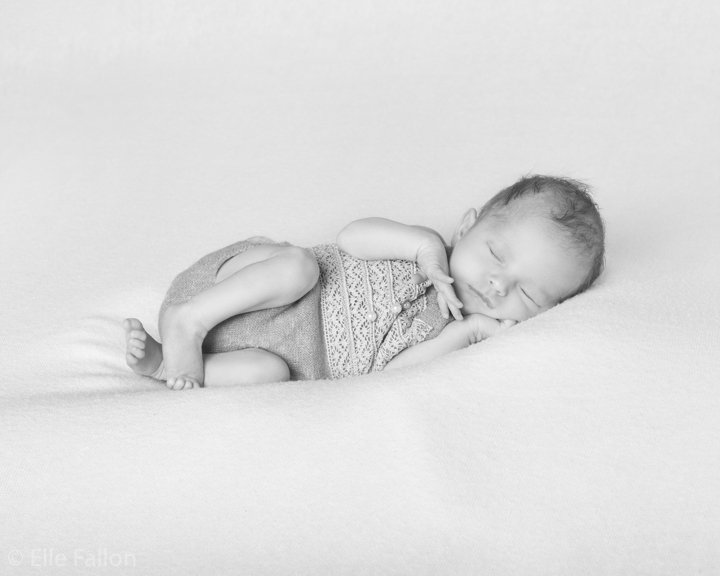 Thank you to my Client for permission to share some of the beautiful photographs I took at newborn photography session at her home in Holland Park. As requested by my Client as well as the classic black and white shots, I included some beautiful colour pictures for her. I’m really pleased with the results. I have also added a few more to my instagram. I would love to know what you think! On request I am including these with all of my classic black & white photoshoot’s at home. I bring everything that is needed to you so that you don’t have to leave. Including these beautiful handmade props for newborn photography session’s. Silks and lace for pregnancy photography session’s are also provided by me. Using my portable studio and lighting guarantee’s perfect results in your home every time. My Client’s come back to me year after year to capture their family portraits. This is the biggest compliment for me and I love returning to see them again. I have lots of reviews both on my testimonial page and on my google review page. So valentines day is fast approaching! I have had many orders for valentines day gift vouchers already. There is still time to purchase yours! 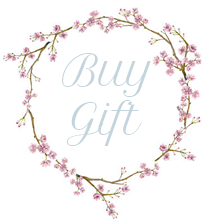 Gift voucher’s are personalised and can be made for bespoke packages. There is nothing more romantic than a family photoshoot or pregnancy photoshoot together with the loved one’s in your life. As well as a beautiful experience you will have the photographs to cherish for a life time. Please include your home address or the delivery address for your voucher and any personal message when placing your order. 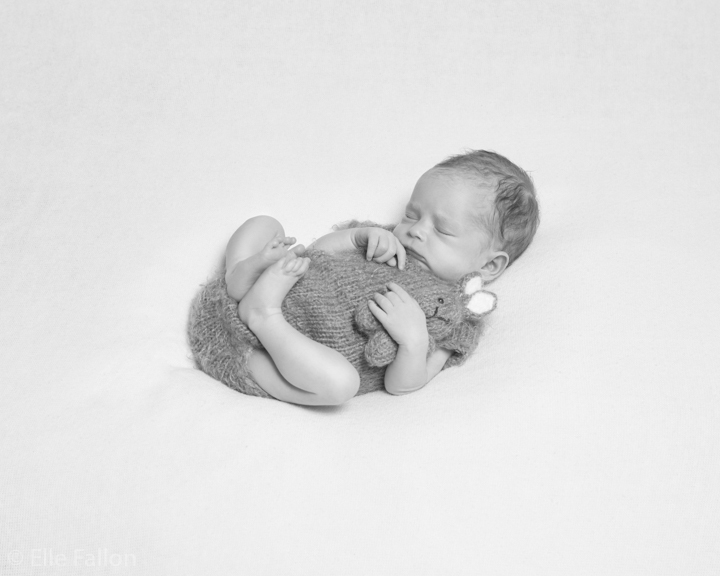 I love this newborn photograph from one of my recent session’s in Maida Vale, London. Mixing my classic black & white style with some colour images. 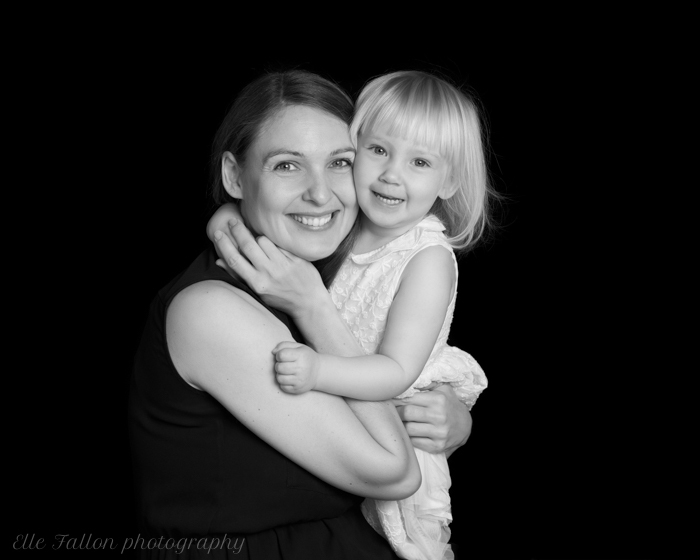 For families who would like a little colour with their session’s. These are becoming increasingly popular and I’m really enjoying the results. This little one is photographed wearing my gorgeous forest green tassel hat which has matching shorts (off camera in this shot). This set looks equally gorgeous in my classic black & white style. I’ll be adding more colour pictures from recent photoshoots to my website soon. I’d love to know what you think! Also I’d like to give a huge thanks to all the families who have been kind enough to leave a review on my google review page. I’m so grateful to have worked with you all and thank you for taking the time to leave your feedback. Is it Friday already! Where has the week gone? Zooming by to February, but I can’t lie I am always glad to wave goodbye to January and February and welcome the warmer months of March & April. That’s if we don’t have March snow again this year! I’ve been busy the last few weeks welcoming 2019 babies into the world with their first photoshoot’s. 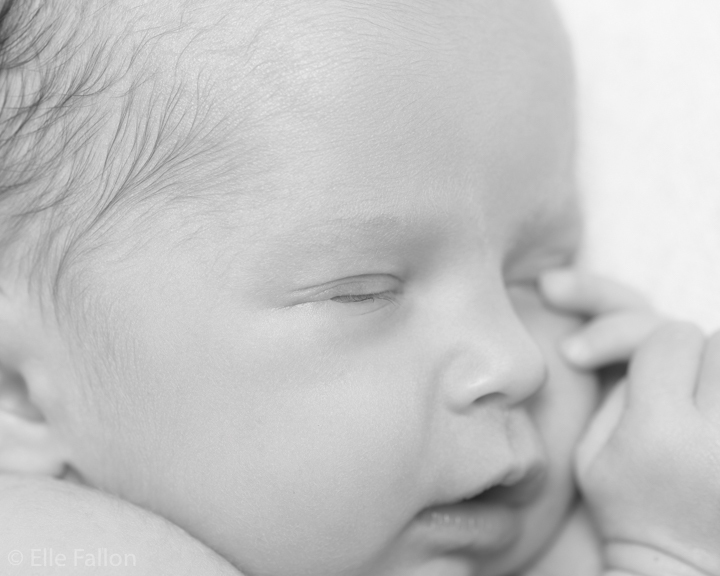 It’s been a pleasure and I’ve even had the joy of photographing a few sets of newborn twins. Is there anything more magical than newborn twins sleeping together! I’m sorry if I have mentioned this before but I’m always in awe of the after every photoshoot. I’m in love with some of my handmade newborn set’s from from etsy. Fresh for 2019 newborn photoshoots. I love starting the new year with some new props and outfit’s for my photoshoots. There are so many incredibly talented newborn prop makers on Etsy. I choose handmade knitted hats, nappy covers as well as some of the beautiful vintage lace and soft felt rompers. The fact that they are handmade makes them extra special and unique. I bring a suitcase full of them to every newborn photoshoot for parents to choose their favourite look for their baby. My style is natural and for the colour photo’s I use beautiful pale lilac’s, pinks, blue’s, green’s and silver greys. These work just as well in my classic black & white style which is loved by the families I photograph. As I was editing recent session’s for my blog and website I came across this beautiful picture from the last photoshoot I shared. The smile on her face brightened my day! I’m sure it will yours too. Captured whilst we were waiting for her new baby sister to be camera ready. (fed and burped!). I think we were mid dance at this point. Which gave a beautiful, natural movement to the shot. I love to have fun with children. Their photoshoot should feel non pressured and enjoyable for them. It also helps to be setting up the studio in their home. Adding to the excitement and also ensuring they feel at ease. Thank you for looking, please feel free to contact me for details and pricing.